Some say they’re already old-fashioned, others argue they’re more popular than ever. Whatever your take on podcasts, you have to admit: they’ve democratized broadcasting, and provided people with a smorgasbord of things to potentially listen to. But where did podcasting come from? To answer this, think about what podcasting is, and how it differs from mediums before it. A podcast is kind of like a radio show, but it’s not delivered (or intended to be listened to) at a certain time. Instead, it’s automatically delivered to a listener’s device — thanks to RSS. It’s stored on their own hard drive — thanks to compressed audio. And it’s listened to on their own schedule thanks to portable devices. These technologies combined allow podcasting to combine the audio experience of radio with the convenience of a magazine — it’s up to you when and where to listen. Because time isn’t an issue, they can afford to be conversational and appeal to a specific niche. Smart phones (and iPods before them) make these tidbits portable, freeing them from the constrains of a computer. Some radio shows work well as podcasts, and those tend to be more magazine-like than newspapers. So the history of podcasting is really the combined history of three different technologies: compressed audio, RSS feeds, and portable music players. The timeline below outlines a few major dates in the history of these three, and how they ultimately ended up working together to create a medium. March, 1999: The first RSS specification — RSS 0.9 — is created by Dan Libby and Ramanathan V. Guha, both then working at Netscape. The company’s work on the specification was intended to support their online portal, giving website owners a way to push content to it. The format outgrew Netscape, of course (but did become a prominent part of Firefox, which oddly enough was based in part on Netscape’s flagship browser: Navigator). 1999: Napster brings the idea of downloading audio files to the mainstream. 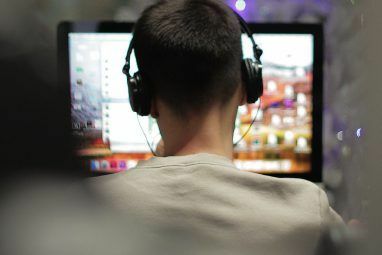 The controversial service is ultimately shut down for copyright infringement, but the world had already changed: consumers realize they can download audio files from the Internet, and they like it. A lot. October, 2000: French entrepreneur Tristan Louis proposes a number of specifications for the RSS standard, including the ability to include an audio or video file. “Enclosures”, a similar concept allowing for embedded media, was added by Dave Winer for his RSS 0.92 standard–setting the technological stage for podcasting. Podcasts didn’t show up overnight, however. October, 2001: The first iPod is released — a device destined to teach the world how freaking cool it is to carry all of your music on one device. Reviews among the tech press are occasionally underwhelming — Slashdot editor Cmdr Taco famously called it “Lame” for lacking wireless — because they miss the killer feature the iPod ultimately becomes famous for: ease-of-use. June, 2003: Canadian designer Stephen Downes releases Ed Radio, a program that uses audio RSS feeds to create a sort of online radio station. 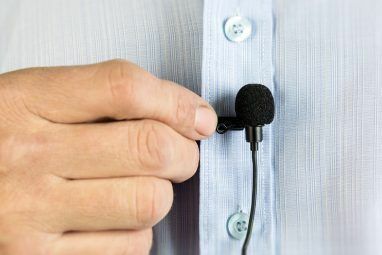 It’s not podcasting as we know it: users don’t have direct control over what they hear. What it did do is show how RSS feeds could be used to automatically distribute media. September, 2003: Dave Winer creates an RSS feed, using his “Enclosures” features, compiling various interviews with technologists and politicians conducted by Christopher Lydon, a former NPR host. This is arguably the first podcast. October, 2003: Texan Adam Curry releases RRS2iPod, an AppleScript that automates the process of sending MP3 files downloaded using RSS to an iPod using iTunes. The script is among the first “podcatchers”, but lacks a user interface. February, 2004: Guardian columnist Ben Hammersley, while profiling Lydon’s interview segments, lists “podcasting” as a potential name for the emerging medium. The two others, Audioblogging and GuerillaMedia, thankfully didn’t catch on. September, 2004: iPodderX, among the first pod-catchers with a user interface, is developed by August Trometer and Ray Slakinski. A wide variety of podcatchers follow, making it easier to download and listen to podcasts. April, 2005: California-based Leo Laporte, then working at the short-lived TechTV network, records a conversation between himself and a few colleagues. The recording, downloaded by thousands from his website without much promotion, becomes the basis for This Week In Tech–the first show in the TWiT network that today offers over a dozen shows. June, 2005: Apple adds a podcast directory to the Apple iTunes Store, bringing an-easy-to-browse repository of shows to their millions of users. In just two days Apple reported 2 million podcast downloads; a surge in traffic that leaves many podcasters scrambling to pay for more bandwidth. The massive potential audience draws many creators to the medium. July, 2005: The White House adds an RSS feed of the downloadable Weekly Address to whitehouse.gov, making George W. Bush the first presidential podcaster. February, 2006: Comedian Ricky Gervais’ once free podcast goes paid for season 2, charing £0.95 for a half-hour episode. Despite his success, paid podcasts remain relatively rare. October, 2006: This American Life Listen To 'This American Life' Complete Archives For FREE Listen To 'This American Life' Complete Archives For FREE Listen to any episode of This American Life, anytime, for free. That's access to nearly 450 hour-long episodes, all fascinating. You may not realize it, but the popular radio show from Public Radio International offers... Read More starts offering its weekly public radio show as a podcast. The popular program quickly becomes one of the top podcasts on iTunes (and has been ever since). There are many more dates that could be added. I just wanted to give a quick overview of the technology and the type of content it enabled. The evolution continues to this day, but it’s worth noting that podcasts didn’t exist at all just 12 years ago. 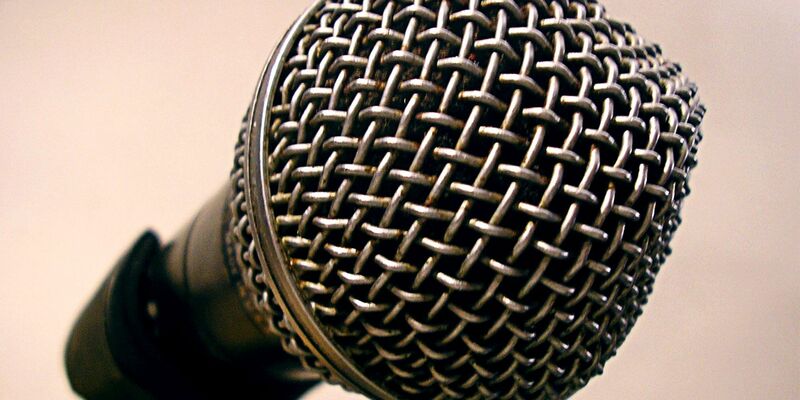 Podcasting, as a medium, is native to the Internet. It’s the result of various collaborations between people from all over the world, and is still evolving to this day. Today niche podcasts cover everything from life in a given city to specific video games, and more are created all the time. The intimacy of those conversations means that while you may not reach a massive audience, the people you do reach feel close to you. Some podcasts aren’t native to the Internet, of course — they started as radio shows. The ones that do well as podcasts, however, tend to understand the conversational tone and read more like magazines than newspapers. Intimacy, it seems, is the heart of the medium. 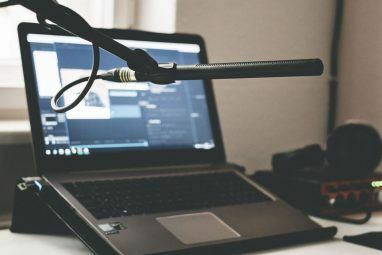 But that’s just what I think and I’m far from the only expert here: I want to know if you spotted anything that I missed in this brief outline of podcasting’s history. Fill me in below, okay? And feel free to point out your favorite podcasts as well. Oh, and if you’d like to hear my sorry attempt at podcasting, check out Technophilia Podcast. It’s me and a couple of co-writers talking about technology news (and anything else that comes up), and we’d love it if you joined us. Or you could start your own podcast A Guide To Setting Up Your Own Podcast Website & Feed Using Wordpress & Podpress A Guide To Setting Up Your Own Podcast Website & Feed Using Wordpress & Podpress I recently had the opportunity to become part of a podcast which I’m sure you’ll hear about soon enough - and it's all fairly new ground for me. As the only one with enough bandwidth... Read More , if you want. It’s easier than you might think. Happy to see that Christopher Lydon appeared as possibly the first podcast host. He is an excellent interviewer whose shows always encourage deeper consideration of issues.